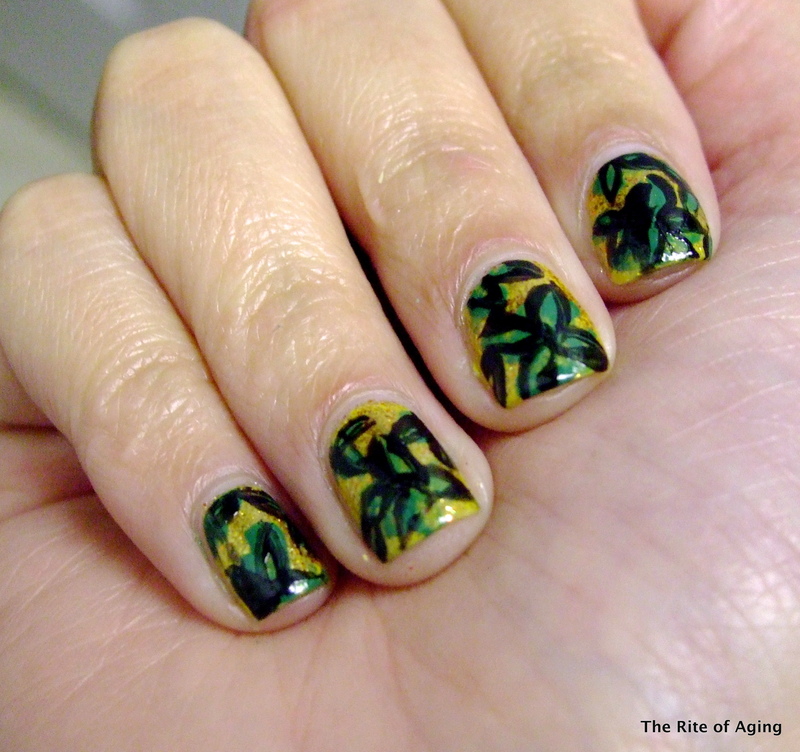 Here is my submission for the last day of the Get Lucky Nail Art Challenge! The leaves don’t really look like shamrocks…but I like how it came out and the colors are St. Patrick’s Day-related! I used 1 coat of Sinful Colors Chick Chick and 2 coats Sinful Colors All About You as my base. I detailed with Sephora by OPI I Come in Peas and Wet n Wild Black Creme. I love the look of this – it’s kind of abstract but very pretty!